Meg has completed her GRI, Graduate Realtor Institute, designation offering you the highest level of service. Meg has lived on the eastern shore for 19 years. She has been a member of the GOLD team, SILVER Team and Executive's Club with Long and Foster during the past 10 years. Meg has been in real estate since 2005 and has been extremely successful due to her work ethic and commitment to clients. 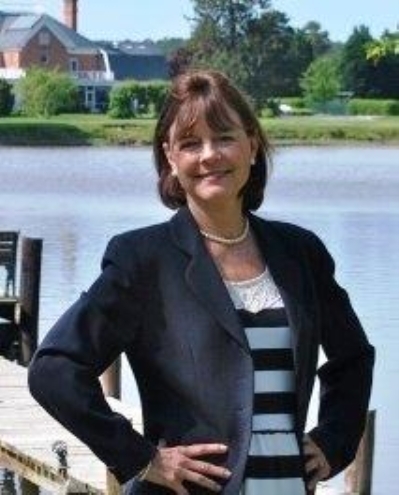 In 2015 she was one of the top 5 agents in the Meredith Fine Properties Group , a Long and Foster office located in Easton , MD. She was formerly a special education teacher making her a great communicator as well as an excellent listener! She received her undergraduate degree form Penn State University and her graduate degree from UNC, Chapel Hill. She also attended LSU in Baton Rouge, La. Her husband Tim is an airline pilot with American Airlines. They also have 2 children both of whom attended Va. Tech and Clemson University in SC. To round out the menagerie they have black lab and a calico cat! They enjoy the outdoors, traveling, boating, fishing, hunting, and volunteering in this wonderful small town community! Meg is a board member for the Mental Health Association of Talbot County, volunteers for Hospice and the Waterfowl Festival and Talbot Humane Society. Large in town lot. This house has a lot to offer. New roof in 2015, 3 bedrooms, large family room perfect for a theater room/man cave. Huge garage for boat or RV storage or workshop, separate building for an office or studio. Working hot tub and above ground pool for relaxing! Built in security system, propane heat, paved driveway. Hardwood floors in the bedrooms.